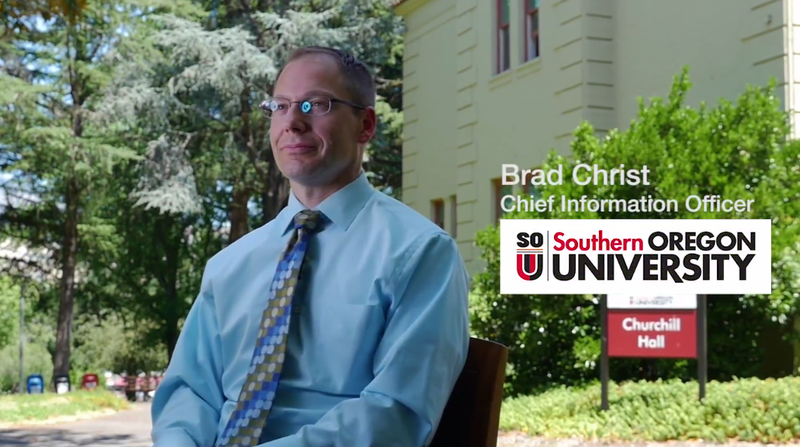 Using the AWS Storage Gateway as a VTL, Southern Oregon University transitioned to a cloud backup and DR solution while preserving its investments in workflows and Veeam software. Switching backups was the first step in SOU IT's adoption of AWS, which is expanding and helping the IT group more efficiently support students and staff. Serving more than 6,200 students from its campus in Ashland, Oregon, Southern Oregon University (SOU) is a four-year public liberal arts college providing career-focused, comprehensive educational experiences with an emphasis on student success and intellectual growth. Like any modern educational institution, Southern Oregon University generates a lot of data, from course materials to administrative documents. Much of its data exists in virtualized, on-premises data centers. The university used physical tape backups—stored in two onsite tape libraries as well as in a vendor’s archiving facility—to keep this information safe in case of disaster, employing Veeam backup software to write data to tape. Given SOU’s geographic location along the Cascadia Subduction Zone and its exposure to earthquake risk, SOU was also looking for a solution that would meet its disaster-recovery requirements, because its tape storage library was in the same city as the university. In the event of a major earthquake, it would be critical to retain access to student data. Cloud-based backups became a viable option for SOU when its IT team discovered it could actually save money by backing up to virtual tapes in Amazon Simple Storage Service (Amazon S3) via AWS Storage Gateway, and then archiving backup data onto Amazon Glacier as a low-cost, long-term storage tier. The university was able to set up a test environment inexpensively thanks to the pay-as-you-go nature of AWS. At the same time, SOU realized it could likely improve its disaster-recovery posture while eliminating the disadvantages that come with managing physical tapes. The process of migrating data to Amazon S3 was rapid and seamless. “Within two monthly backup cycles, we had entirely converted our physical-tape-backup process over to AWS,” says Martinich. SOU uploads approximately 30TB to AWS per backup, and it is keeping about 320TB on Amazon Glacier. Although the data SOU stores in Amazon S3 is not highly sensitive, the university takes advantage of built-in encryption to protect it. “We even got disaster recovery by using a bicoastal data center,” he adds. “By using the East Coast AWS Region in northern Virginia, we have confidence we could recover after a site-level disaster, because our data is geographically separate from our physical location. It would only take three to five hours to retrieve virtual tapes from Amazon Glacier.” Even if an earthquake or other natural disaster damages SOU’s on-premises infrastructure, its data will be safe and available to support the restoration of IT services. Learn more about moving tape backups to the cloud using AWS Storage Gateway.